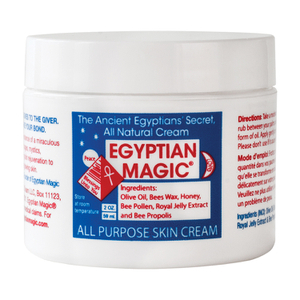 Shop the miracle skincare formula from Egyptian Magic at Mankind. 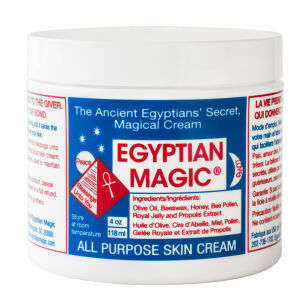 Using 6 of nature's most powerful hydrating and healing ingredients, Egyptian Magic goes above the rest to leave you skin feeling healthier and brighter within a few uses. A favourite of celebrities, this miracle formula has a cult following across the globe and is also cruelty free certified. 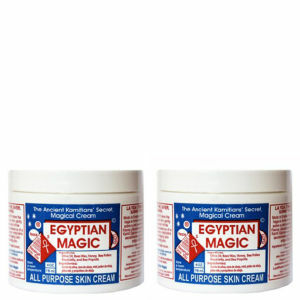 The Egyptian Magic Cream is a multi-tasking, powerful healing balm which treats a whole host of issues whilst nourishing and hydrating the skin. Capable of treating shaving irritation, eczema, minor burns, scars, rashes and stretch marks, this massage balm really can do it all. It’s also suitable for use on babies and as a lip balm. Formulated with olive oil, beeswax, honey bee pollen, royal jelly and bee Propolis, it’s safe on skin for creating incredible results.